Cold breeze and savoury meat, everyone? 22 Prime Ortigas visits Restaurant Verbena Tagaytay to bring an epic collaboration, and steak lovers better be ready with their appetite. Indulge in unlimited USDA Prime Rib with unlimited sides and dessert for only PHP 1,800 nett as 1800-PRIME Goes to Tagaytay this coming November 17 and December 1, 2018. 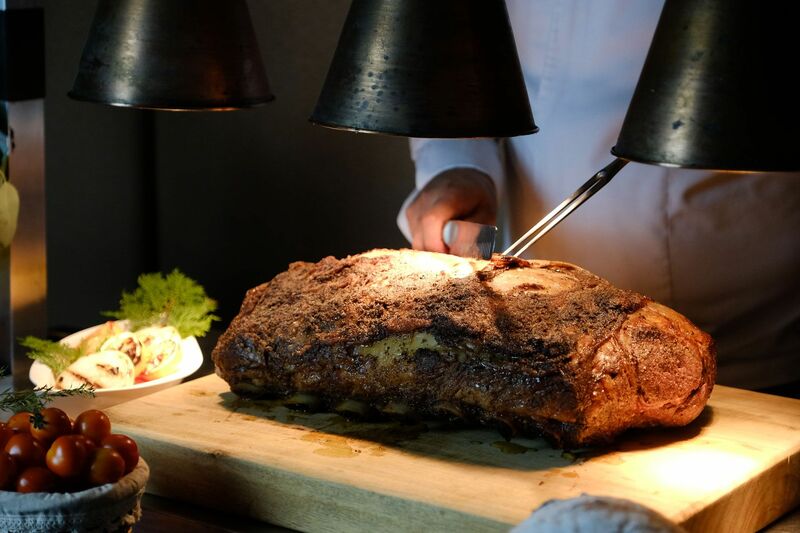 Discovery Suites flagship restaurant and acclaimed steakhouse, 22 Prime, first hosted this event last August 18, 2018 and has been met with a lot of praises and was eventually back by popular demand last October 20, and now they’re bringing it south on select dates. So if you’re a fan of steaks and the breezy weather of Tagaytay, book your seats now, because they are going fast. My Discovery Elite members are also entitled to a 5% discount. In addition to the funds raised from by 22 Prime last August and October, a portion of the proceeds of 1800-PRIME in Tagaytay this coming November 17 and December 1, 2018 will be used to purchase water filters for Discovery Country Suites and Discovery Suites’ selected CSR beneficiary, the Aeta community residing in Sitio Yangka, Capas, Tarlac, in an effort to provide them with clean and potable water. This event is made possible by Restaurant Verbena and 22 Prime’s cooperation with Alternatives Food Corp., Don Revy Philippines, and Waves for Water Philippines. For inquiries and reservations, visit https://www.discoverycountrysuites.com/1800-prime-goes-to- tagaytay/ or call (02) 529-8172. Restaurant Verbena is located in Discovery Country Suites, along 300 Calamba Road, San Jose, Tagaytay City, 4120 Philippines.